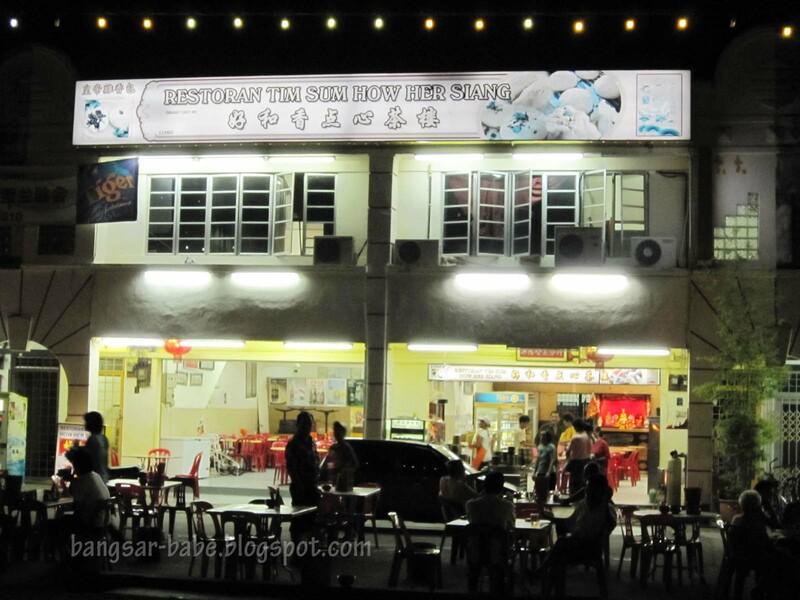 Dim sums are usually eaten in the morning, but at How Her Siang Timsum, they serve it from 6pm onwards. 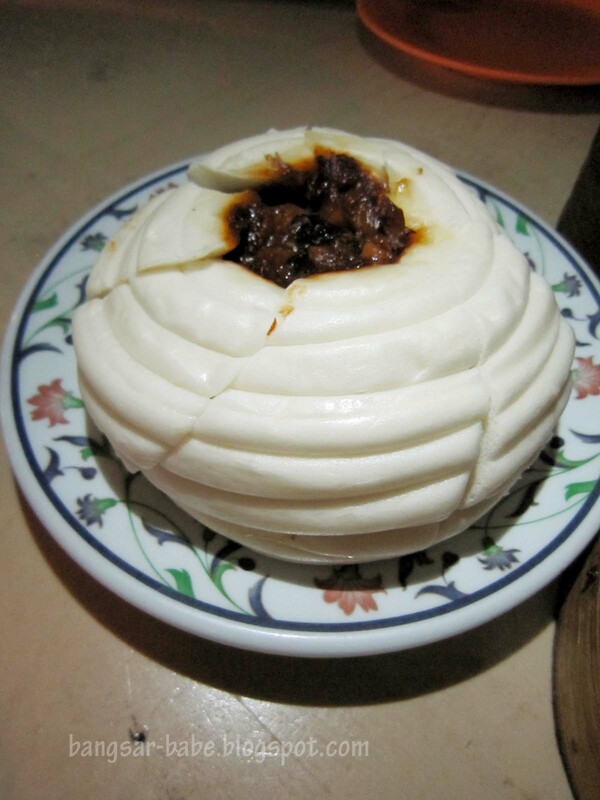 Out of curiosity, I ordered the glutinous rice and chicken in a bun (lor mai kai pau). 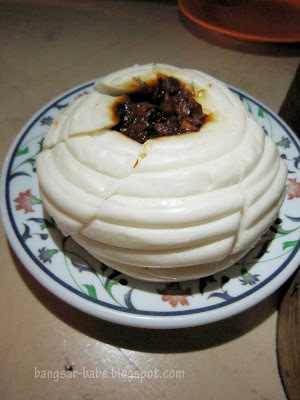 The pau (RM4.50) was nothing to shout about – it was the presentation that caught my eye. I thought the filling was a tad too salty. The siew mai was very porky – in a good way. It looked like any other siew mai, but the combination of minced pork and shrimp gave it a nice, chunky bite. Come to think of it, most of the dim sums here were porky. Even the har kau (prawn dumpling) had meat inside. It could be my greed talking, but I found the dim sums slightly small. 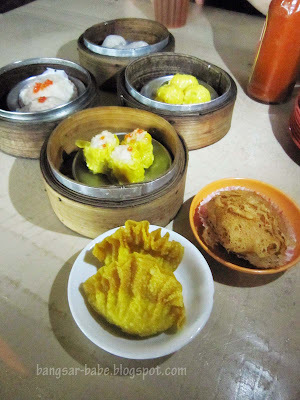 We ordered another two serving of siew mai to satisfy our tummies. Verdict: Bored of satay celup? Try dim sum instead! KY – In Malacca, maybe. In KL got quite a few in Jalan Ipoh, right? 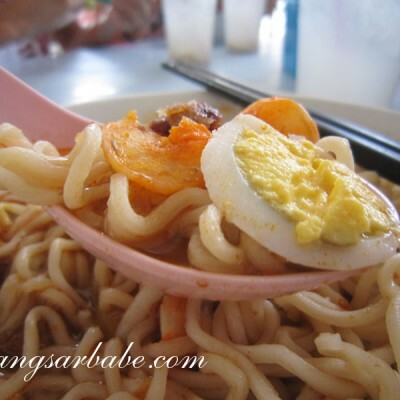 leo – Ya…Sean has definitely eaten his way around KL! !